The long winter months… a perfect time to bundle up under thick sweaters and snuggle on the couch. Or a perfect time to start working on your summer body! Read on to find out our most popular treatments to start now to look your best this summer. Waxing is painful, and do you really want to be chained to your razor all summer long to keep your skin smooth? Laser hair removal is effective on legs, underarms, bikini area and face. As well, if you’re worried about excess chest or back hair or you struggle with Polycystic Ovary Syndrome (PCOS), treatment can help you face summer with full confidence. There’s no need to hide under layers of clothing this summer! When melanin production is uneven, it results in dark spots on the skin. If this causes you embarrassment or you simply want to even up your skin tone, there are great options to consider. 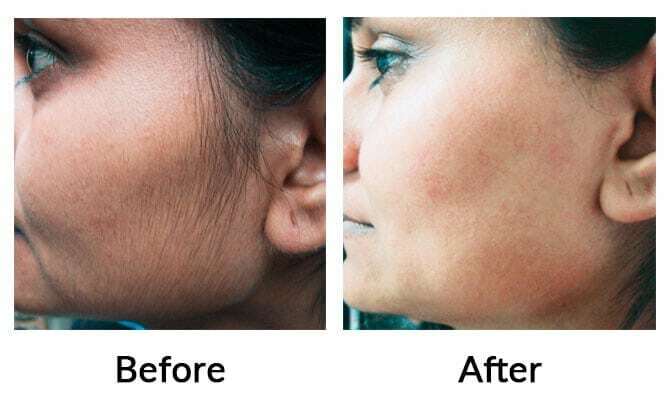 Laser pigmentation removal, for example, uses targeted wavelengths of light to “shatter” pigments so they can be absorbed by the lymphatic system. Spectra Laser Peel or IPL may also be effective for you. Ask your aesthetic professionals today. Is an ill-advised tattoo keeping you from baring your skin? Using safe, powerful lasers, we can break down the ink so it can be naturally removed by your body’s immune response. This works on black and multi-coloured inks, even stubborn shades like green and blue. If wearing shorts or a bathing suit is intimidating, regain your confidence with ULTRAcel. This powerful treatment combines three effective techniques to combat loose and sagging skin and help alleviate stretch marks. By stimulating collagen production and restructuring existing cells, the skin looks and feels younger, firmer – and ready for summer adventure! Put down that mug of cocoa and book your consult today.